What an amazing night. 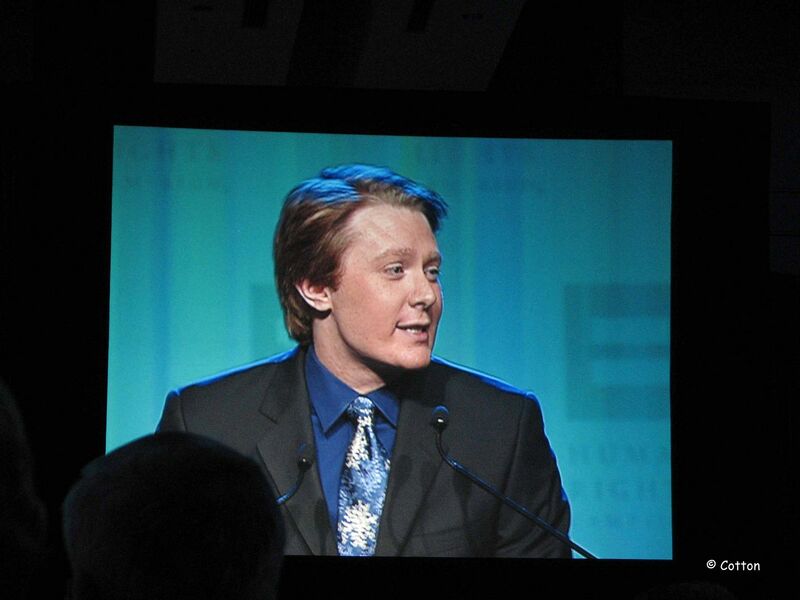 Clay Aiken delivered a wonderful speech that was articulate, researched, and passionate. He even threw in a bit of humor. If you want to see a video of the speech, it is in the post below. I thought you might want to see some pictures from the evening. When other “Clack” and information is available, we will post it ASAP. Please check in again for the latest details. Love the pictures. Thank you! What a wonderful night for Clay. His speech was brilliant. "It's About Damn Time", will be remembered by all. Great pictures…. I am so proud of Clay. So proud of our boy ( man). Wonderful speech. Is he a great speech writer or what? I hope that he can continue to speak out about civil rights for all. He didn't need to pound his fist. He just carried a big stick and spoke about it in an enlightened manner. I'm so looking forward to March 12. Clay just hightens the excitement with every appearance. Gorgeous pictures! Clay looked great! Thanks. Thanks for sharing the pictures. I hope there's more to come. Very nice speech. And he's right. It's about damn time! 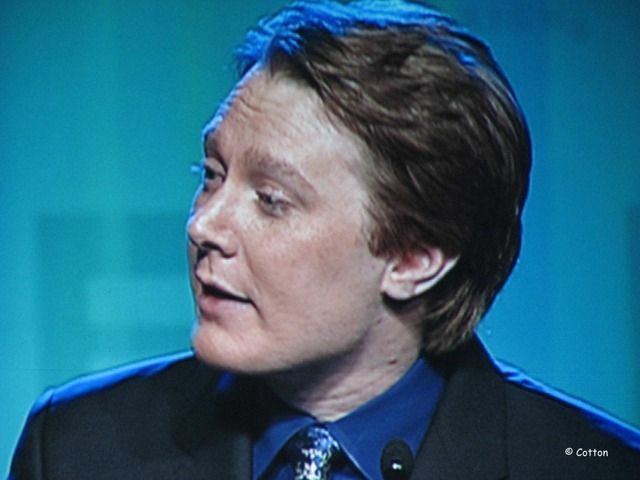 I love that Clay Aiken continues to fight for inclusion of ALL people in all things. Loved his speech and how he connects with all people. I am so happy for him and where he is today. Yes, indeed, 2010 is Clay's year! We have been faithfully standing with him all these years and it is a pleasure to see him so completely comfortable with who he is and what he has to offer all people. 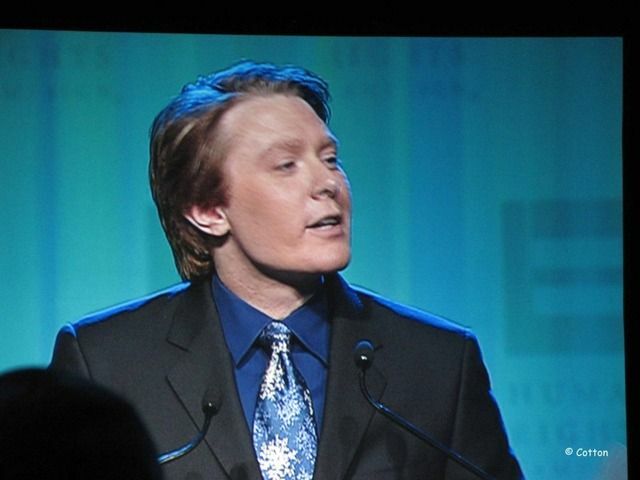 Clay Aiken is a wonderful speaker and advocate and the gay community is lucky to have him. 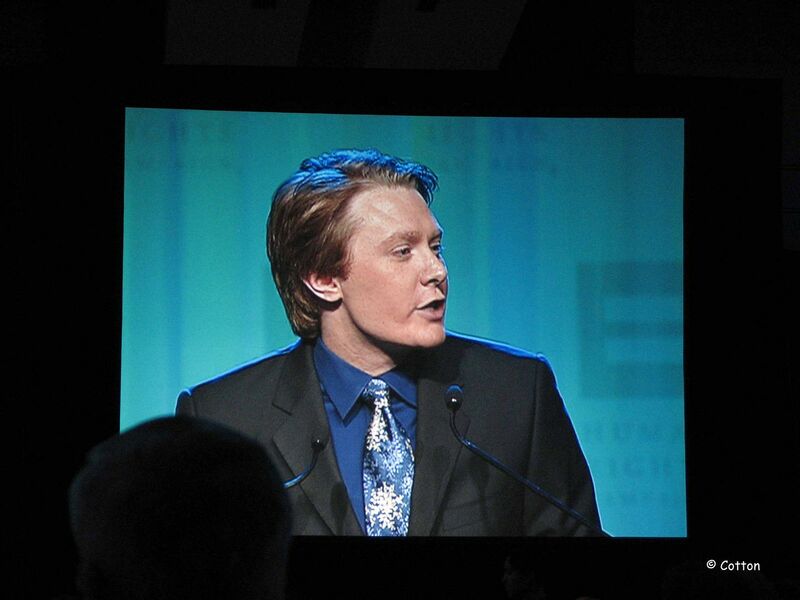 Thankyou so much for posting all of th epictures and video from last nights HRC event! 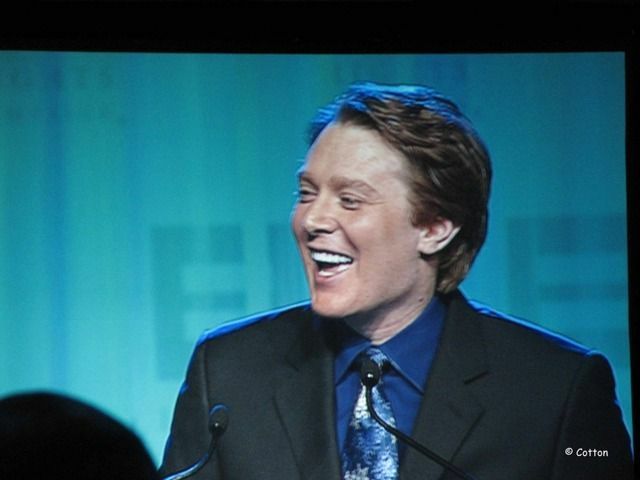 Clay Aiken continues to make me so very proud and leaves me feeling hopeful for the future of the LGBT movement! He truly is a very good, a very natural speaker!! I loved Clay's speech last night which he wrote himself. He is an intelligent man and a gifted speaker. He cares deeply for everyone and it clearly shows. He is a remarkable man and I feel so blessed to be a fan. Clay's speech last night was excellent. He is such a natural public speaker! 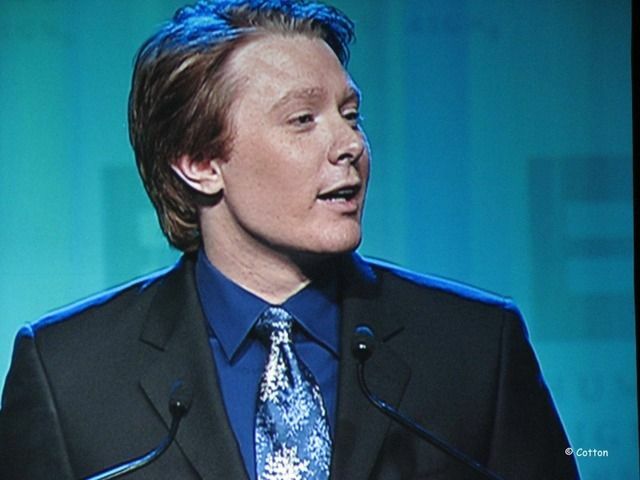 Others are starting to see in Clay Aiken what we have seen for a long time. I'm so proud of him! What an amazing man. He speech was wonderful and he looked great. Thank you for all the information…….the pictures, the video and the comments!! His speech was wonderful–have listened to it many times. 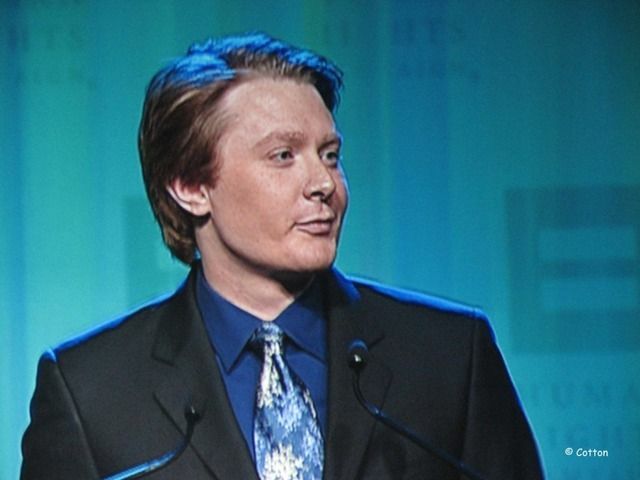 Clay Aiken makes me proud to be a fan. I feel that his time has arrived and 'It's about damn time!" Thank you for the pics, and video. 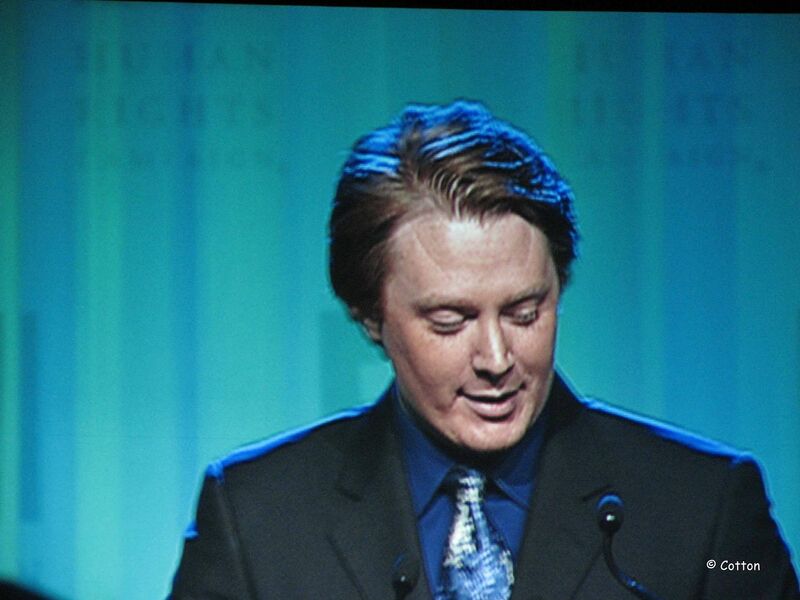 Clay Aiken gave an eloquent, impassioned speech at the HRC Gala this weekend. Thank you for reporting all this in CANN where those not in attendance could see photos, read the text, and watch a video of his address. 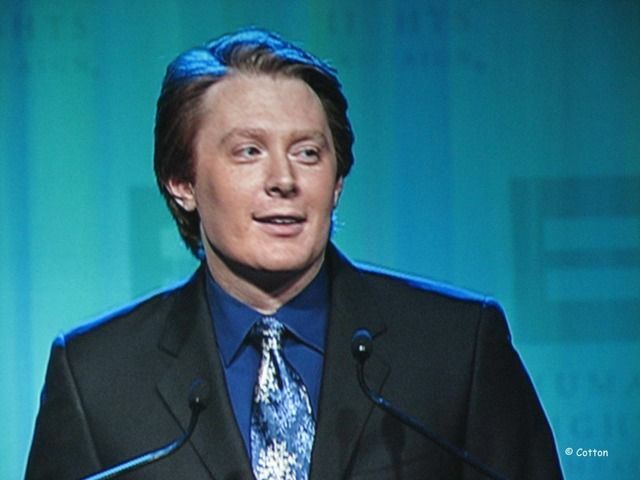 I think Clay Aiken's "It's About Damn Time" speech has hit the right note! He is fascinating. 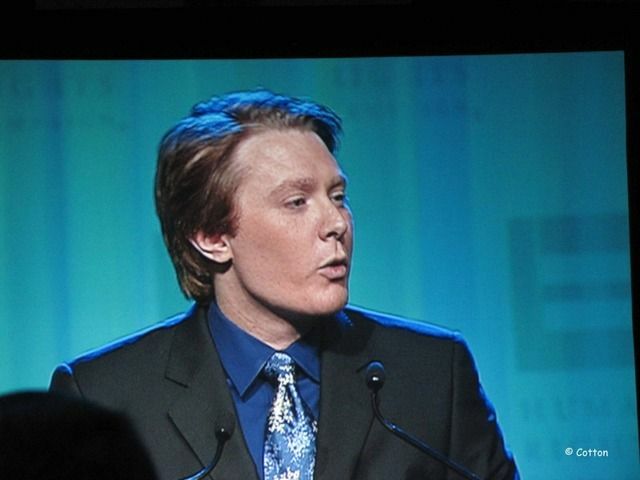 Not only did Clay Aiken sound good, but he looked good, too. The positive feedback is also mighty fine!! Why was my comment not posted, what was wrong with it? Rita………..you have posted a comment in the article just below this one……about 18 hours ago. Is that what you meant because that is all I can find. We only delete spam, however, sometimes it takes me a bit to get to the comments. Love the pictures and video. Thank you! Clay is so articulate and funny. Error: Error validating access token: Session has expired on Tuesday, 21-Aug-18 16:13:01 PDT. The current time is Wednesday, 24-Apr-19 02:30:04 PDT.